In November of 2002 Assumption began a strategic planning process that involved more than 100 committee members from varied constituency groups. Stakeholders considered the interdependence of all the K-12 Scott County Catholic schools. Therefore, many of the strategic plan's 30 goals and 54 key strategies are designed to improve and enhance all local Catholic schools - not just Assumption. 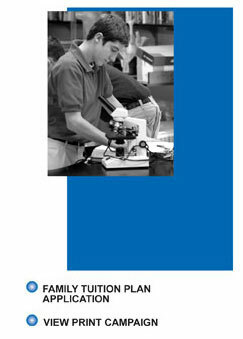 The Family Tuition Plan considers each family's size and total income, weighing these factors against family tuition requirements. The plan helps low-income families, and is also especially designed to help middle-income families at those times when their K-12 tuition needs are the highest. The goal of the Family Tuition Plan is to make a K-12 Catholic school education available to everyone. This campaign component provides support for a faculty/staff retirement plan, as well as supplemental support for faculty/staff health insurance costs. While some local Catholic schools already provide one or both of these benefits, we believe that unified funding is essential to the retention of high quality faculty and staff. Over the years, our Catholic schools have interwoven spiritual growth with excellent academic and activities programming. Unfortunately, limited marketing budgets have allowed the high standards and outstanding achievements of our Catholic schools to remain a well-kept secret. An integrated K-12 marketing program will allow us to share our good news with the community-at-large.